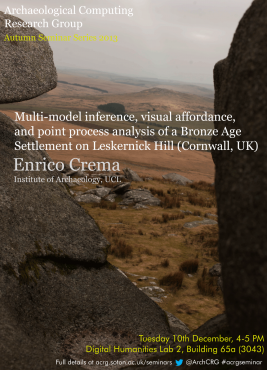 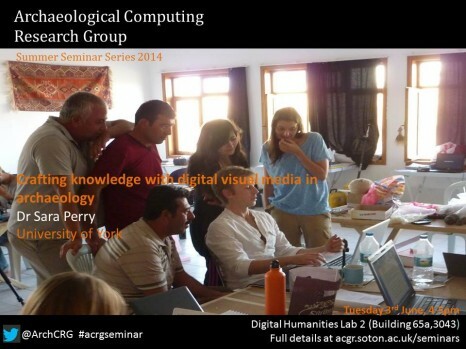 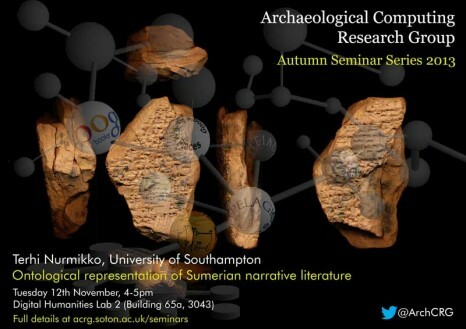 The ACRG Seminar Series provides a platform for members of the research group, colleagues within the University of Southampton, as well as external scholars and professionals, to present, discuss and engage with research into digital methods in archaeology. 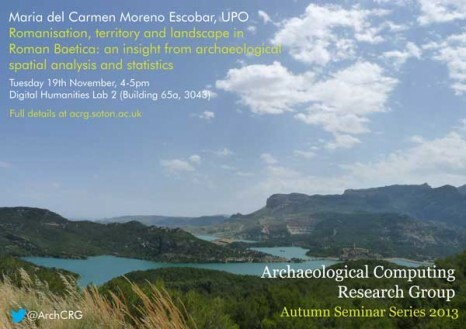 This includes opportunity to present and get feedback on their current work in progress, present completed projects or open discussion on multidisciplinary approaches to a given topic and build collaborations. 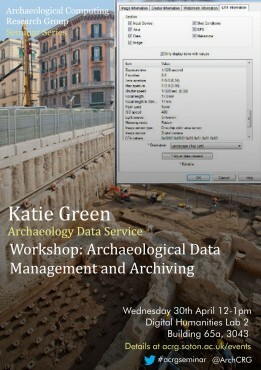 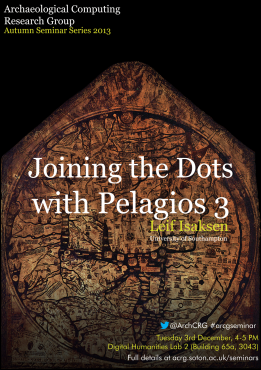 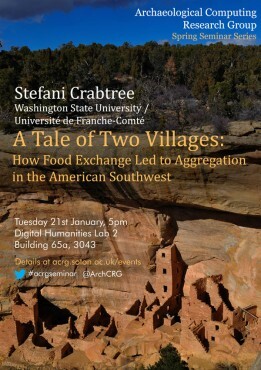 The series primarily aims to engage postgraduate students (both taught and research) and early career researchers with the intention to create a collaborative cross-disciplinary forum, consisting of people with a background in archaeology, humanities, computer science, web science and beyond. 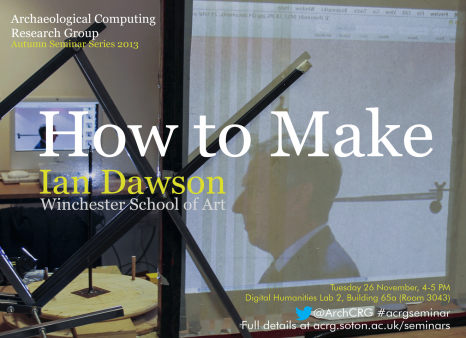 Interaction and Interfaces. 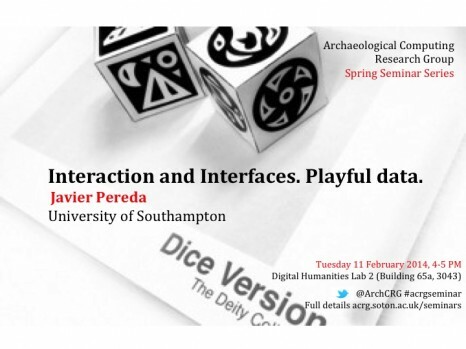 Playful data.